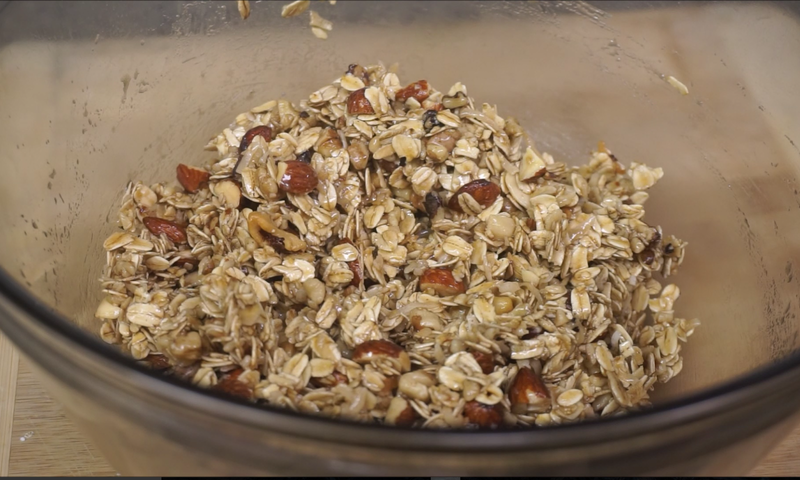 Granola Bar is a very Healthy Snack which is the easiest Breakfast for a Busy Morning.It is made with Oats, Dried Fruits and Nuts.Try this healthy snack at your home. 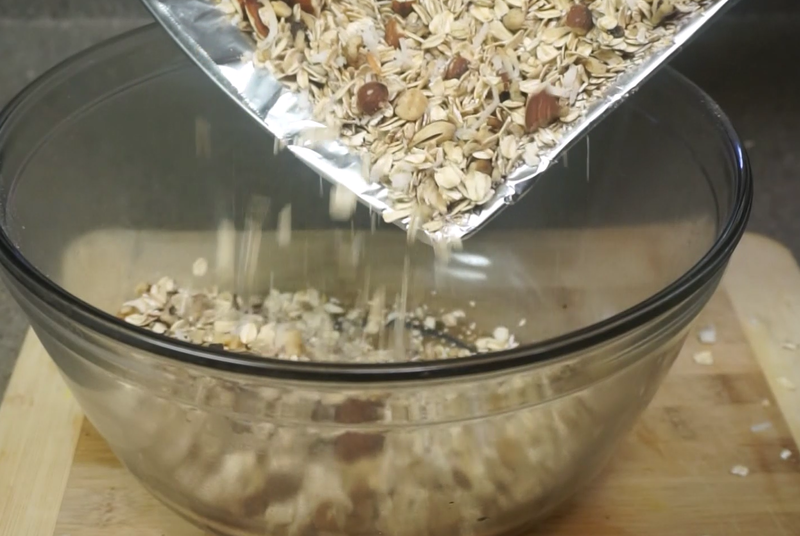 In a baking tray,Add 2 cups of oats. Add 1/4 cup of Coconut. Add 1/2 cup of Walnuts. Spread them well in the tray and bake for 10 minutes until they are slightly toasted. Transfer them to a bowl. 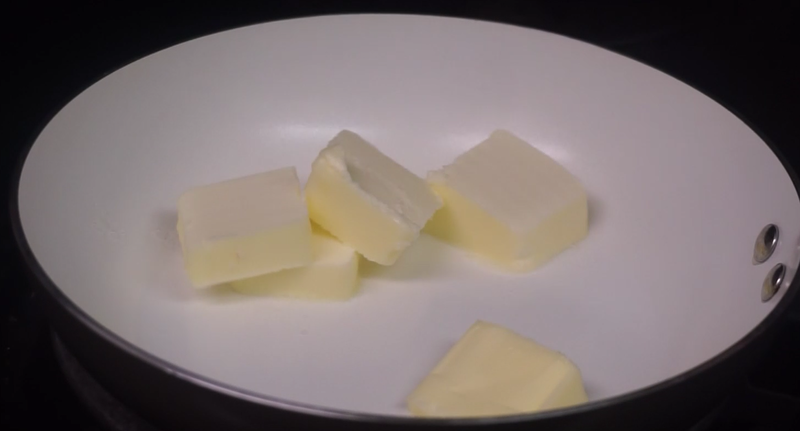 In a pan add ¼ cup of butter. 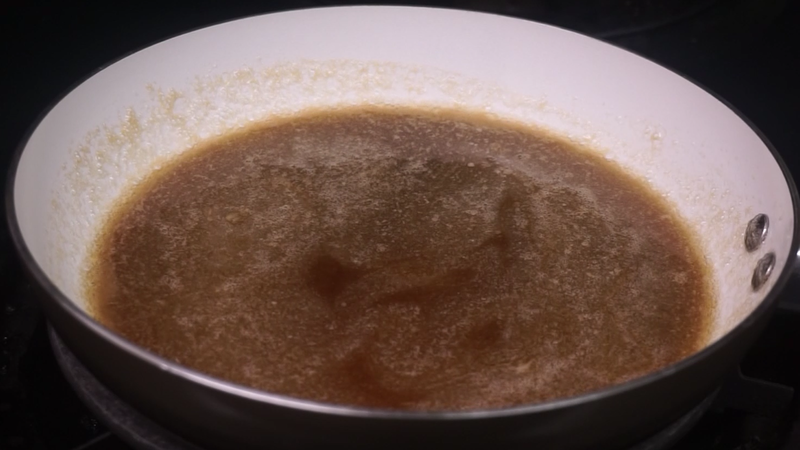 Add 1/4 cup of brown sugar . Add 1 tsp vanilla extract and little salt . 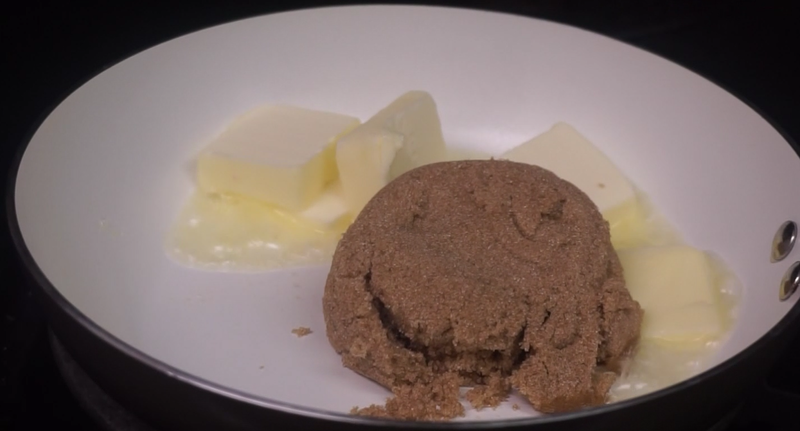 Cook them until the butter melts and the sugar dissolves completely. Add 1/4 cup dried cranberries. Add 1/2 cup chocolate chips and give a good mix. 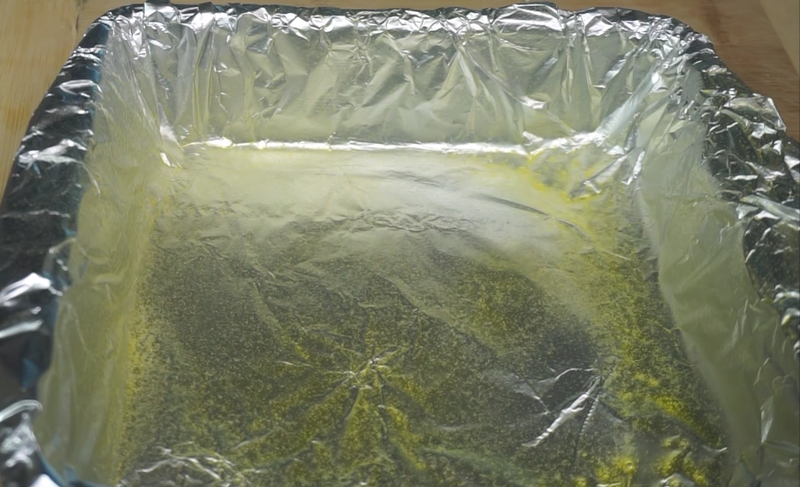 Line the sides and bottom of the square pan with foil and Spray it with butter or some cooking oil. Transfer everything to the greased pan . using the spatula press them well to pack them firmly and evenly or wet your hands with water and press them. Scatter some mini chocolate chips over it and press them gently. 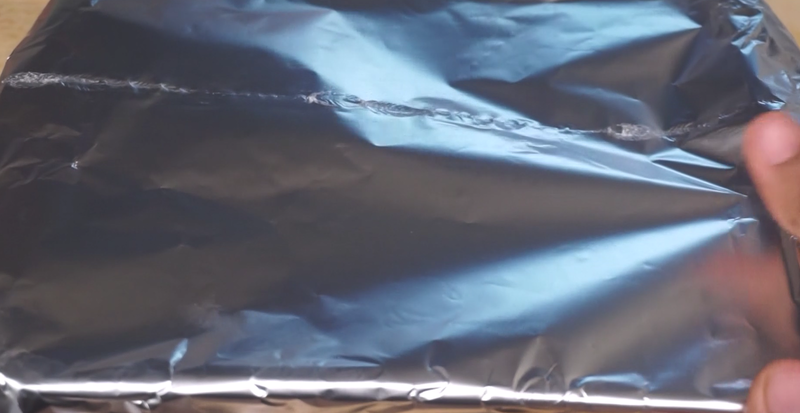 Cover and refrigerate for minimum 2 hrs or freeze them in the freezer for 30 minutes. 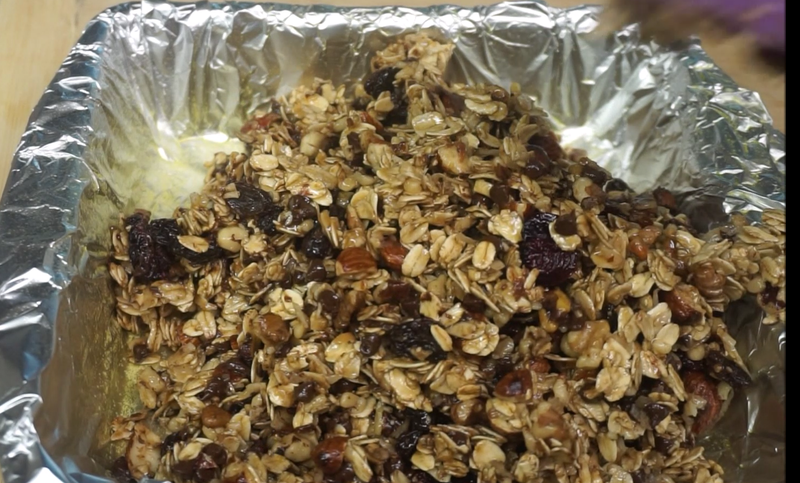 After 2 hours,carefully peel the foil from the granola bar. 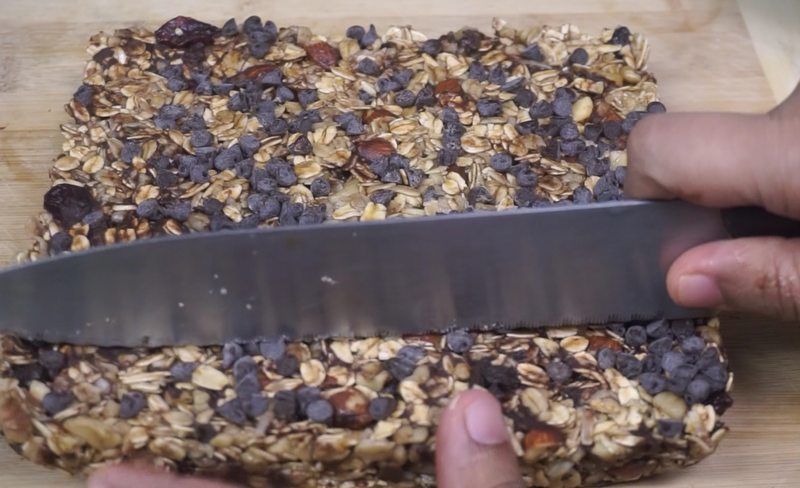 Slice them in to bars with a sharp knife. 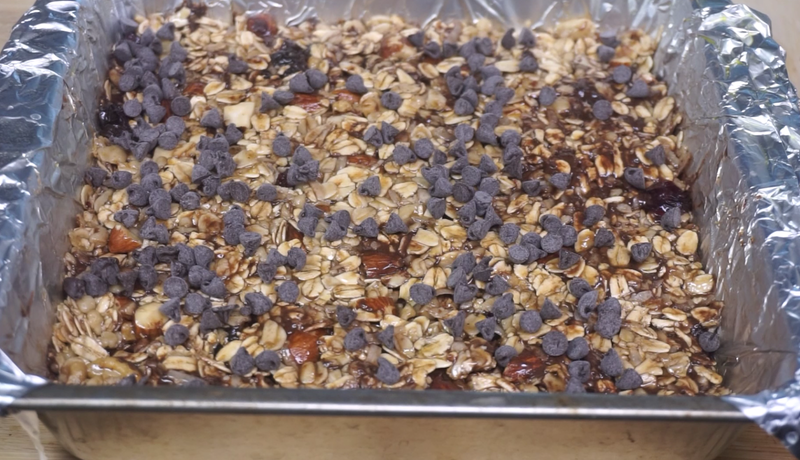 Now Our granola bars our ready.Enjoy your homemade granola bars. 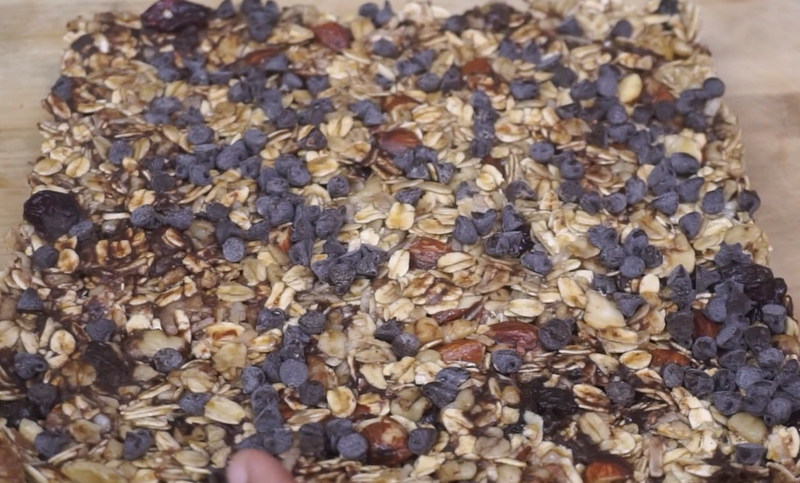 You can add your own choice of nuts and dried fruits. Store them in a air tight container or freeze them in a freezer safe bag.